So You Signed Up For Eventastic’s Branded Ticketing And Registration? Let’s Get Started! In order to begin using all your new innovative marketing and management tools simply click the custom ‘new user’ link that was emailed to you by our admin office. It should appear like “your business name.eventastic.com” (If you have misplaced the email with your branded user link then please contact our office & we’ll resend it to you.) This link will always be the gateway to your branded ticketing and registration platform and you will no longer sign into Eventastic to create your ticketing or registration pages! Enter your custom URL, Sign In and you’ll be directed to your new branded search and listings landing page. From this page you’ll be able to adjust your account information and create full marketing ticketing and registration pages as needed or utilize the ticketing kiosk where only your ticketing options appear without all the bells and whistles. If pages created are clicked to be ‘open’ for public viewing they will appear on your branded search/listings page in the form of clickable cards allowing transactions to be made. 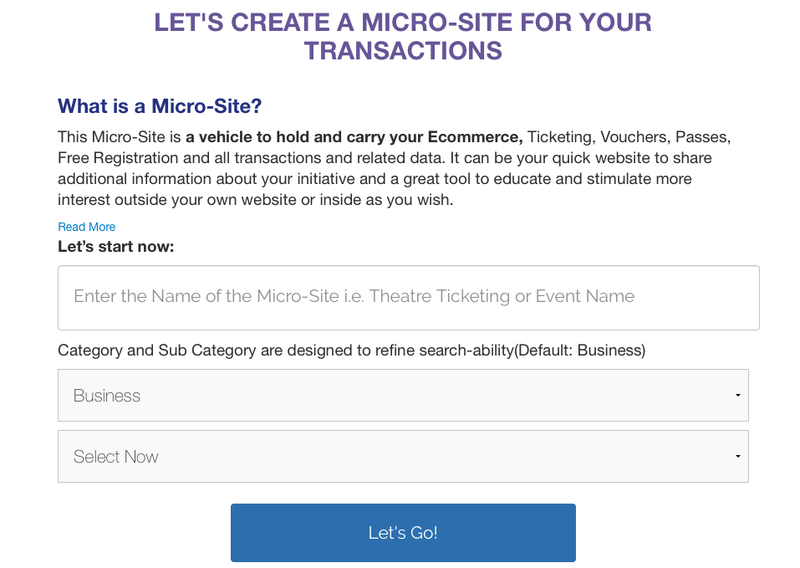 Click ‘Create’ when ready to start creating a ticketing aka micro-site page. As your pages are created they will appear in your pages list for editing purposes or to check your transaction dashboard. Your individual ticketing/registration page created will be your micro-website for marketing and managing all aspects of what you’re offering. Selling tickets? Taking registrations? Sharing an agenda or listing speakers? Sell gift certificates? Accepting donations or crowdfunding for a cause? Want to share a personalized video message? Whatever the bells and whistles you decide to add to your microsite, you’ll be able to share either your individual page link or your full search page link through email and/or all social media channels to get the word out fast. Link your search page directly to your own website for even more traction! We’re always available to answer your questions! Please email support@eventastic.com and we will be happy to assist! Hope this has been helpful! Looking forward to continuing to offer great online tools and tips serving your ticketing & registration needs. Is Your Ticketing & Registration Software Offering You This? We know you’re busy but take a moment to see if Eventastic’s online ticketing and registration software may be more innovative and helpful than what you are currently using. Does your ticketing software give you this? Do they allow you to combine ticket and voucher options in order to sell such things like admission along with food/drink options in one Combo priced ticket delivering your ticket and voucher automatically online? Do they empower others to sell your tickets and vouchers through their own customized links online thus stimulating an auto calculated commission on only the new trackable business they bring in which results in extra sales without you having to lower your prices? Do they position your ticketing with other industry tickets to create a bundle package that stimulates new sales and makes your products more attractive like your museum ticket and hotel room in one transaction? Automatically get paid along with your offer partner! Do they automatically hide your Early Bird ticketing and display new pricing without having to watch and manually change the date yourself? Never miss that deadline again! Do they allow you to create a promo code for your sponsors that automatically changes the message printed on your tickets when used to thank them for their generous commitment to your organization or offer other promotional messaging? Sponsors love this. Do they offer a weekly pass with multiple day redemption allowing registrants/purchasers to see several events or sites within your venue and control access at every point that day and for a week? Tracking software tells you when they scanned to avoid fraud. Do they give you a free micro website to promote and carry your tickets along with crowd funding and ecommerce options in a user friendly easily managed package? 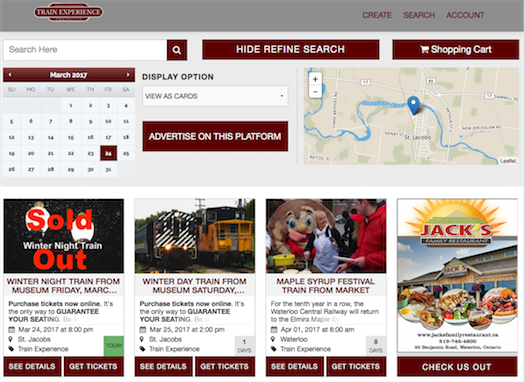 Do they provide a simple, straight to the point ticket window kiosk directly from your tickets to be linked on your own website or through all your social media channels? Do they allow you to generate serious revenue by adding your sponsors and supporters as advertisers to auto collect funds and allow them to do the heavy lifting of adding the ad in order for you to stay true to your core business and just watch the money flow in monthly? Do they NOT charge you a fee for every ticket that goes out the door? We win in volume, you win every day when you pass along fees to the customer and end up with no costs. Do they make sure your branding is on everything the attendee sees from start to end showing strength and structure of your organization? Get Branded for only $1/month! We offer you all these and more! Looking forward to providing you great tools to market and manage all your ticketing and registration needs. Eventastic has made it possible for you, your company or organization to create and share tickets, registrations, vouchers and passes easier than ever and by having your own Fully Branded Ticketing Software from front to back with your logo, fonts and colours you now can own more than you may realize with many benefits! Not only will you have microsite flow to Eventastic’s HUB Listing for added exposure and increased sales but as a BONUS you’ll own your own Branded HUB Listing with all your microsites created and listed on easy to read clickable cards making it easy to share multiple listings as well as keep purchasers/registrants informed as to what is going on in your industry at a moments glance and proceed with their transaction! That’s A LOT! PLUS, you’ll have a fully laid out Portal with centralized sales information at your fingertips at any given moment. Let’s Get Started And Have That Money Start Flowing To You by clicking HERE! Got questions? Contact us today and let us answer any questions you have regarding owning your own Branded Registration Platform! 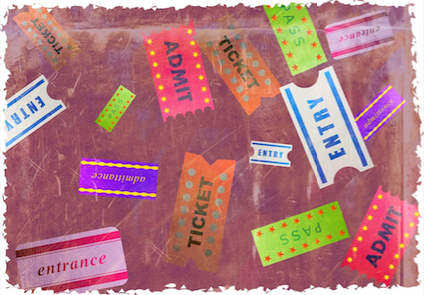 Selling tickets for events can be a cumbersome and costly task for those involved. Believe me! I know. Many times there is time spent on ticket artwork and committee approval, printing costs and then the chore of having to distribute stacks of tickets to everyone on the event committee in the hopes that they will not only have but take the time to sell and safely collect the monies. Everyone knows that with our busy schedules these days, simplifying processes like event ticket sales can only be welcomed with open arms. Why not simplify the ticketing process AND drive more traffic to your website at the same time! Increasing search engine optimization is an important goal in business. Increasing the amount of visitors to your website and obtaining a high-ranking placement in search results can be achieved using various strategies, tactics and techniques. Being able to sell tickets for seminars, conferences and other events on your website is yet one more way to bring traffic to your business and increase SEO. Eventastic has a tool to help you achieve this! 1. Click “Create” in the top bar. 2. Add the name of your event & category for search purposes and receive an auto-generated Micro-Site page where you’ll be able to edit event location, date/time. 3. Turn ‘On’ the ticketing/registration feature of your event page & fill in your ticketing information. Add name, price, description, duration/time to be sold & other customization for your ticket type. Even add promo codes and a custom registration form and pass along ticketing fees to purchasers! Once you create tickets, passes or vouchers for your event a customized ‘Ticketing Kiosk’ will automatically be generated which you can embed seamlessly into your website displaying only your ticketing or registration options and not a full event page. PLUS, you are provided links to share your ticketing kiosk through social media channels all over the web as you so choose. Cut, paste, post and sell! It’s that easy! If you are planning an event and ticketing is involved, then take this opportunity to use this online ticketing tool making the process of selling and buying tickets easy for everyone! Sell More Tickets, Raise More Money and Drive SEO! Click Here Now! I really don’t need a reason to have a party. Planning a get-together with friends to celebrate life is good enough for me and when a cause arises to plan an event whether small or larger magnitude it’s fun to jump in with both feet when you have the right tools at your fingertips. Whether community, business or personally based, being able to successfully plan, implement and track the information needed not only for this but also future parties is critical and we’ve created five steps to help you with your event planning. Decide On The Theme And Nature Of Your Event. Who will be invited and how many you’ll be able to house are factors to consider. Is this a personal, business or community function? A party of 20 close friends is way different than a bash for a couple hundred at a local venue and will subsequently involve way different decisions to be made. A themed event is fun when scheduled close to a community or seasonal celebration. Always remember when considering numbers for your event, often only 3/4 or even 1/2 of those invited will actually attend depending on time of year, nature of the event and even other events or seasonal celebrations occurring at that time so pad your invite list to compensate for those who may not be able to attend. Consider Your Party Budget. Is it just you or a team of people planning this event? Will the party involve monies in order to implement successfully and what is that realistic number? Consider costs for things like venue, decor, food, drink, entertainment, photographer, security etc and have those discussions early in the planning stages. Will the organizers themselves be contributing or will you be charging enough to attend the event to help with costs? Do you have a dollar amount you’d like to raise to then give to a needed cause? With Eventastic you can create your tickets and choose to have the guest incur transaction fees thus allowing the organizer to retain full ticket value. Pick A Venue. If not your home, pick the place that will be able to hold your attendee number goal comfortably. Better not to choose a venue which can hold 300 for a party of 100. You want your party to present full and not sparse which could give guests the impression that many didn’t ‘show’. Choose a place that will allow for activities and event ideas and activities you have in mind in terms of decor, entertainment, age relevance and easy access. Also, consider choosing a venue where guests will not have to taxi long distances at the end of the evening. Create An Experience. These days it’s all about the guest ‘experience’. You’ll want them talking well after the event so create an experience that they’ll remember and share with others. Add some decor pizzazz whether through lighting, decorations and cool niches where guests can stand or sit to chat. Food and drink options and choices are important considerations. Open bar? Signature specialty drinks? Circulating appetizers? Bowls of pretzels, chips and popcorn? Buffet? Ensure guests have easy access to what you offer for food and drink. Nice to have multiple bar options for large events to avoid long lineups of people trying to get drinks and not able to enjoy the fun with their friends. Clean well stocked bathrooms are a must! Choose entertainment to fit your budget yet provide an experience to be enjoyed by all. Whether DJ, live band, iPod playlist or karaoke, have music to coincide with your theme yet interspersed with classic favourites. Add a photographer to the mix so your party will live on. Market , Implement & Track. It’s easy now to market, get the word out and track responses about your party or large event if you take advantage of the right online tools providing features you’ll need and relish for its success. The added cost factor of printing tickets is not necessary today and the additional manpower and energy required to distribute info, sell and collect monies is a thing of the past for those who take advantage of time and cost saving online tools. Creative use of photos and video can serve to give the guest a taste of what they will experience in attending the event as well as highlight special guests, entertainers and even event sponsors. Collect attendee info and now save and track key information by adding questions to your ticketing that guests will need to respond to prior to checkout. Chicken or fish? Do you have any allergies we need to be aware of? Eventastic provides organizers with simple to use, free online event planning tools helping to augment their success! Designed to help you creatively market and manage your events, people worldwide are now using Eventastic features and tools like registration/ticketing, donation and guest funding options, item and service sales options, photo and video upload capability and gamification options along with a full dashboard giving instant updates with guest or participant responses. Once complete you simply share your custom event page link by email, or posting to any social media channel relevant to the audience you are hoping to attract. Add all your social media feeds to your event page allowing viewers to easily follow or like your pages. Remember to add an event hashtag to your event page to assist with the event buzz you’re looking for before, during and after the event. Start creating your party experience and buzz well before the event to intrigue guests to commit. Try it now for free! We all know the importance of attending business networking events to increase visibility of your company as well as add a face and handshake with those your are meeting possibly for the first time. How many times have you attended an event and went to give one of your business cards to someone and find you are out? If properly prepared you’ll avoid writing your name and number on a napkin found close by, hoping the recipient doesn’t use it for other purposes. There are a few things you can do to prepare when planning on attending a business networking event. We’ve come up with our top 10 tips to help you be prepared for your next. Recognize that even those attendees you view as not having an obvious reason for connection could be a stepping stone to someone who could use your service. Eventastic is an online ticketing and registration platform helping organizers worldwide create, manage and market their parties and events and allowing for guest funding, donations/fundraising as well as merchandise sales. Take advantage of tools like applying custom questions to your event registration helping to gather information pertinent to your business or event success. Free for free events! It’s about the experience. So much of marketing an event has to do with passing the feeling of the event you’re proposing on to the viewer. If the senses can be touched in an advertisement then the guest is more likely to engage in what they are viewing and more likely to purchase or participate. An event organizer has the ability to entice guests when photos and video are creatively used on their event website. Whether it is through the use of colour, words, specific pictures, music or a message creatively chosen, placed or collaged which are relevant to the event, people are more likely to connect if the feeling they get from the event website is one that leaves them wanting more from the experience. Add multiple cover photos to your event website to help market your event. Whether a conference, workshop, networking event, personal party, festival, charity or sporting event etc. ; you the organizer have the ability to market your event even further depending on how creative you get using the event website tools at hand. Let’s face it, receiving an invite to a party or event which has the words “You’re Invited” followed by the time and place is simple and gets the basic info to the guest but gives nothing more to entice them to want to register or participate. Type of event – personal, sporting, community, business etc. Mood of the event – serious, fun, exciting, competitive etc. Guests Event is Directed – professionals, friends, family, community etc. Choose good quality photos you’ve purchased online or from your personal collection and size or crop to display as you choose on your event website. By googling ‘free downloadable pictures’ and searching key words, your photo repertoire can quickly increase. If this is a repeat event you may want to use photos from past events and better yet if a photographer had been hired for the previous event you can use their watermarked pics to further advertise/support their business in your messaging. Likewise use good quality video of your band playing or excerpts from a speakers repertoire that serves to entice a person to want to attend. Add a photo of what you’re guest funding for. Community family events could have photos including parents and children or key entertainers. Conferences could have revolving cover photos of presenters and poster pics of key things offered. Of course a business networking event could have pictures of multiple people shaking hands and engulfed in conversation enticing the attendee to want to participate in and experience this same feel. You may decide to add a key phrase to your photo to get a key message across or even share event sponsor or exhibitor logos on a cover photo with a thank you message to further advertise businesses that are supporting your event. When asking for donations or guest funding for a special cause on your event website add relatable photos that guests will see and understand the need like the school playground or hospital MRI machine. Adding a personal message invite through video upload adds even more to the experience. With computer software available these days and a little googling you can learn to be quite creative with your photos and video no matter what your experience is. I use a Mac computer and have fun editing with ‘Pages’and Photoshop. I’ve learned to drag photos to new Pages projects with 200x mag, add text, and with the magic of command/shift/4 can cut the rectangular advertisement to a rough size of 1200 x 900 which then renders perfectly on Eventastic’s website. I play with text type and colour as well as photo editing tools to make it all come together. Eventastic is designed to help you creatively market and manage your events where people truly get a feel for what they will experience. 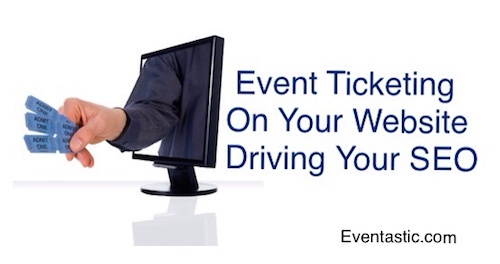 People worldwide are now using Eventastic for personal, business and community events and programs. You’ll have access to multiple features like registration/ticketing, donation and guest funding options, item and service sales options, photo and video upload capability, gamification options and a full dashboard to manage all guest or participant responses. Create and add as many cover photos or video clips to your event website as you would like. Add photos to highlight donation, guest funding, silent auction and merchandise options. A photo album sharing feature option on Eventastic allows the organizer and guests to add photos to one or more albums which encourages guest participation and increase page views. Simply drag and drop unedited smartphone or computer pics to your page or get more creative and work some advertising/marketing magic with photos prior to uploading. With even more marketing options like social media sharing allowing viewers to follow or like your pages and an amazing innovative ticketing kiosk allowing event ticket sales to occur on your own business website or as an immediate window on social media channels we foresee your event will be a huge success. Try it now.